SmartAccess does more than just provide you with secure gated access, it is the future of managing and controlling your venue. 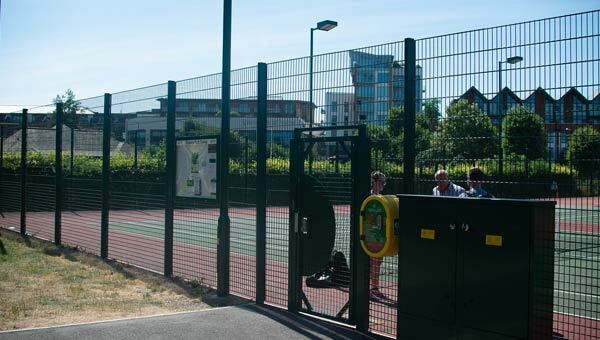 We caught up with the team over at Victoria Park in Newbury, on how they have successfully increased court utilisation and participation with SmartAccess – check out their success story. We want to ensure you are kept up-to-date with new platform enhancements, technical support and give you the tools and assistance you need to operate smoothly. We work hard to ensure the systems are operational 100% of the time with constant monitoring by the team, however, as with any technology, technical faults can occur so, we want to ensure you are educated on how to check your system with our Technical User Guide. Should your players require emergency access, ensure they are aware of the override number: 03300 539 395 which they can call to be issued with a temporary entry pin. If you experience issues with your lighting schedules, pin codes or just have general questions about your SmartAccess system, get in touch so we can help. Lastly, if you have any questions regarding the system hardware, please contact CIA. Alternatively, for all other gated and lighting queries, please contact ClubSpark. Website designed by Soaring Worldwide.